We are excited to introduce our Ask an Expert feature on Crafted Spaces Weddings. We are asking experts key questions, which we hope will help you plan your wedding. Today, we are happy to have Elizabeth Stevens of Elizabeth Victoria share with us her expertise as a designer and professional image consultant. 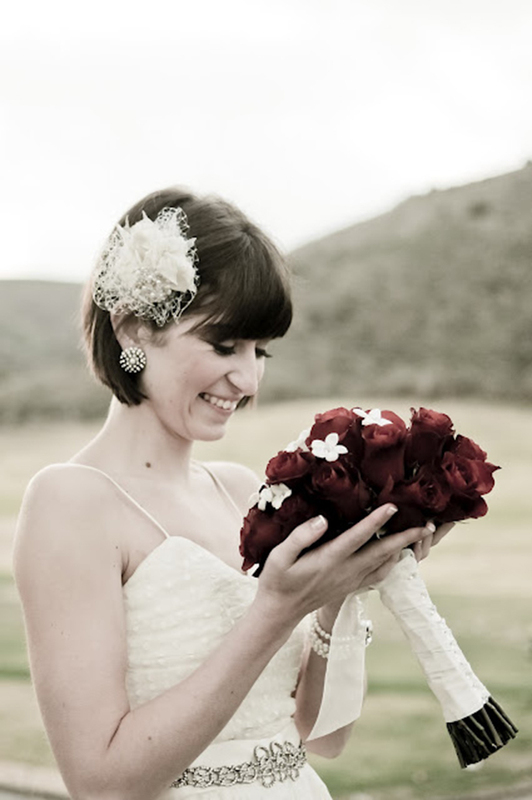 Elizabeth took some time to answer a few questions about wedding fascinators and what you need to know when choosing one for your wedding. There are several styles of fascinators and it is important to choose one that matches your style and personality. 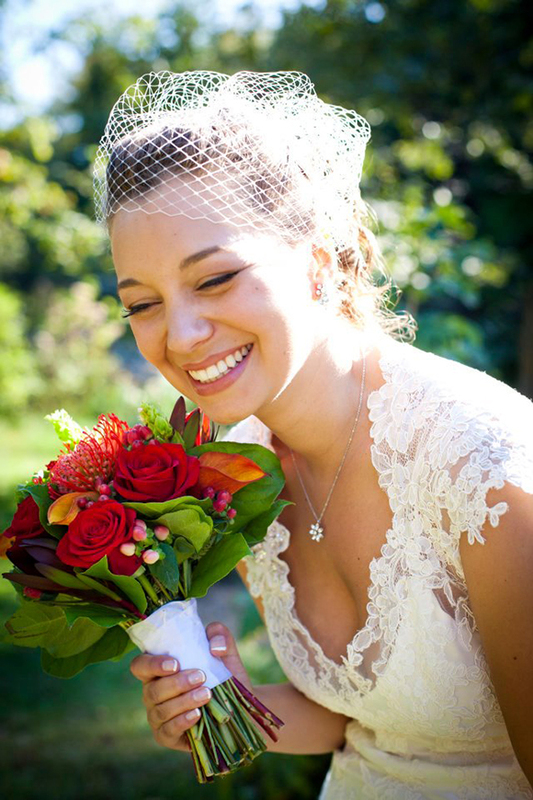 Elizabeth talks about how to choose a wedding fascinator and suggest thinking about how you will be wearing it on your wedding day. She also addresses the importance of creating a cohesive look and provides tips on finding the style that best suits you. 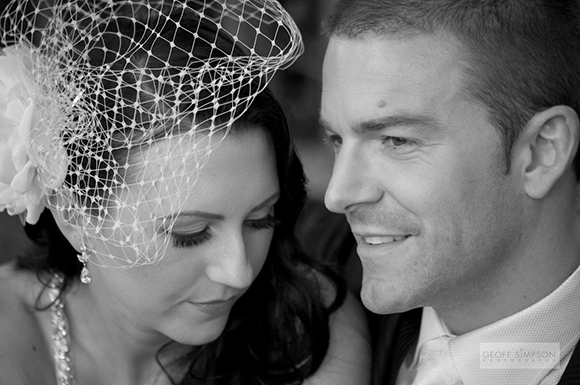 What are your design options when it comes to selecting a fascinator? A google image search of “fascinators” will quickly demonstrate that the options are virtually endless when it comes to design. Ultimately, your main choices in selecting a fascinator comes down to design elements like size and scale, materials used, motif or theme, colour, and how you want to wear it. With Elizabeth Victoria, the options are also pretty much unlimited. I focus primarily on custom work and can make just about anything, so whatever the client's design ideas, they can be realized. That said, to date most Elizabeth Victoria designs could be loosely grouped into three main categories: feather fascinators, flower fascinators and cocktail hats. The latest addition to that list is 20’s flapper-inspired headbands, which I am super excited to launch. How do you suggest I find the style that is best for me? Fascinators are lots of fun, but should be chosen with care. I suggest you start with some research and collect images that inspire you. Follow your instincts and go for what you are drawn to and have fun with it. Determine the scale and proportions that best suit your face and body type, and the formality of your event. So basically do not wear a monolithic beaded headpiece if you are 5’2” with a pixie face and the maid of honour at your sister’s wedding; but if you are a 5’10” diva headed to an exclusive fashion week party, that might be the perfect choice. Choose the dominant design feature. Possibilities are endless, so you should start with a sense of the general feel you are going for the day of your wedding. Feathers can be slick and sophisticated or whimsical and fun. Flowers can be delicate and feminine or bold and seductive. Big puffs of tulle can be ethereal or dramatic, while blingy brooches evoke glamour and elegance. It is all about matching the materials used in the piece to the overall mood or theme of your desired look. Know how you want to wear it. Options for hardware to secure your fascinator depend a lot on the size and desired placement of the piece. You also need to consider how you will wear your hair, and if you want a style that can be worn multiple ways. If you want to wear your fascinator after your wedding; choose a clip for versatility, because it secures quickly and easily, positions however you like, wears comfortably and makes your fascinator work for any hairstyle. There are many other factors one could assess in pursuit of the perfect fascinator. And when you go shopping for one, you will realise that it is hard to find what you are looking for. I offer image consulting services to augment the experience for my millinery clients, and I think that this is a great value especially for brides. The coaching is based on a much more in-depth personal style and colour analysis, information that aids immensely in my approach as a designer. I am able to work with you to create not just the perfect fascinator truly tailor-made for you, but seamless cohesion, and a natural extension of your unique beauty. Vintage inspired weddings are so popular now. Do you have any advice on the best vintage inspired fascinator? 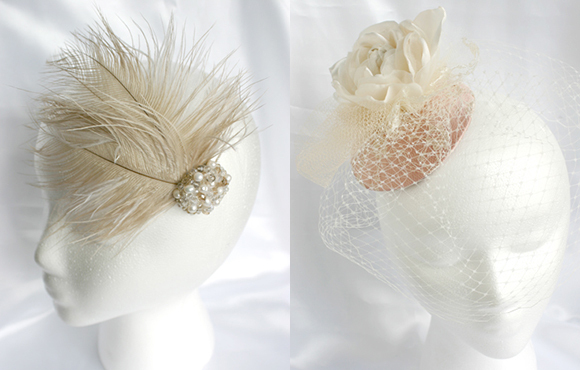 When it comes to choosing a vintage inspired fascinator, the previously stated advice applies. I will also add that it is important to know and match your eras. Each decade in fashion had its mark on how women wore adornments in their hair. Most people that are into vintage know their stuff, but if you are at the early stages of planning or just starting to explore, research fascinators and head pieces from the era you are interested in, so that you get the look right. If you are wearing an actual vintage piece, make sure that the construction and fastening hardware are secure and in good shape. I am a DIY bride and I will like to make fascinators for my bridesmaids. Do you have any advice? If you want to make bridesmaids fascinators yourself, my advice is to keep it simple. It can be pretty time-consuming to fabricate multiples, so generate a design that is quick and simple to make. It is easiest if they are all made the same, but if you want them all to be different, work with a common colour palette and use what you know about your friends to personalize each piece using the details. Fascinators make great surprise gifts, but it is way more fun to make them with your friends at a party than to do it all by yourself. If you are a DIY bride and you will like to host a workshop, I can teach your whole bridal party how to make beautiful fascinators to wear on your wedding day. It is double the fun without any of the stress. Awesome! 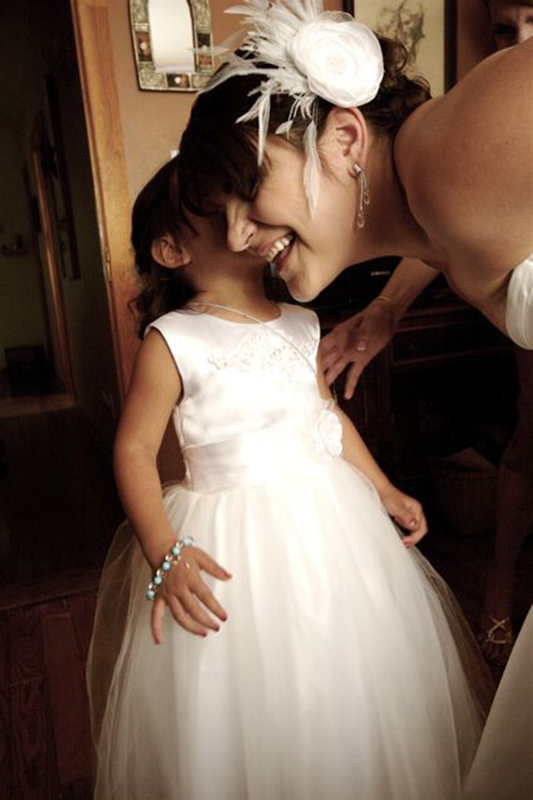 Is there a particular style of wedding dress that works best with a fascinator or can any bride wear one? Any bride can wear a fascinator and look amazing; the key is balance. Obviously “You In The Dress,” is the main attraction. So, match yourself and the dress. Think of the fascinator as an extension of the dress, it balances out the dress by drawing attention up to your hair and beautiful face. It should get noticed without competing or overshadowing, and it should not appear as an afterthought. I like the look of a fascinator, and will like to have one custom made. What is the best way for me to approach custom ordering my wedding fascinator? Working with the information I have presented is a great place to start. It helps to be prepared with some ideas about what you want and need when meeting with a designer. Ask questions! Part of the designer's job is to suggest options and help you decide for yourself what is best for you. You should also to allow enough time to have your order made. I typically suggest three weeks minimum for smaller local orders. *All images contained in this post are courtesy of Elizabeth Stevens | Elizabeth Victoria. If you have a question for Elizabeth, please feel free to leave a comment below. If you will like to order your wedding fascinator from Elizabeth Victoria, you can find out more about her work and email her at info@elizabethvictoria.ca. You can also follow her on twitter at sassyfacinator or join her on Facebook. 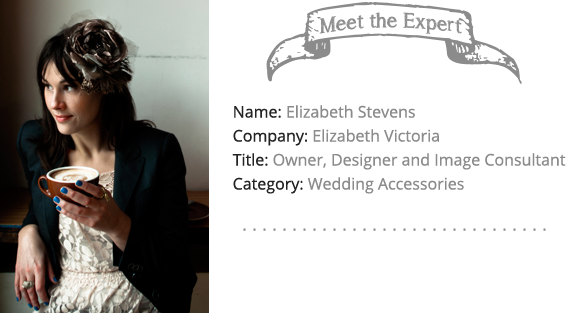 Thank you so much Elizabeth for sharing with us your beautiful designs and expertise on the subject of fascinators. Post by Crafted Spaces Weddings.